The market is segmented by Product, Industry, and Channel. 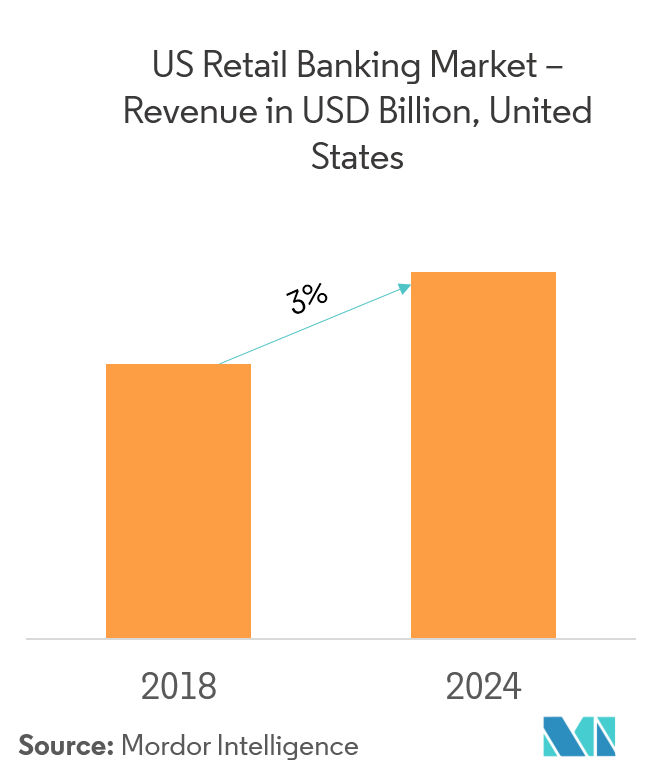 In the recent years, retail banking has become a key area of strategic emphasis in the US banking industry, as evidenced by rising trends in retail loan and deposit shares on commercial bank balance sheets, and a continuing increase in the number of bank branches. Retail banks offer consumers credit to purchase homes, cars, and furniture. These include mortgages, auto loans, and credit cards. The resulting consumer spending drives almost 70% of the US economy. Digital media is gaining importance in the banking sector. In 2013, 43% of the retail banking customers expected their banks to invest in and develop online banking stream, 20% wanted a similar investment in mobile banking, and 7% in social media. 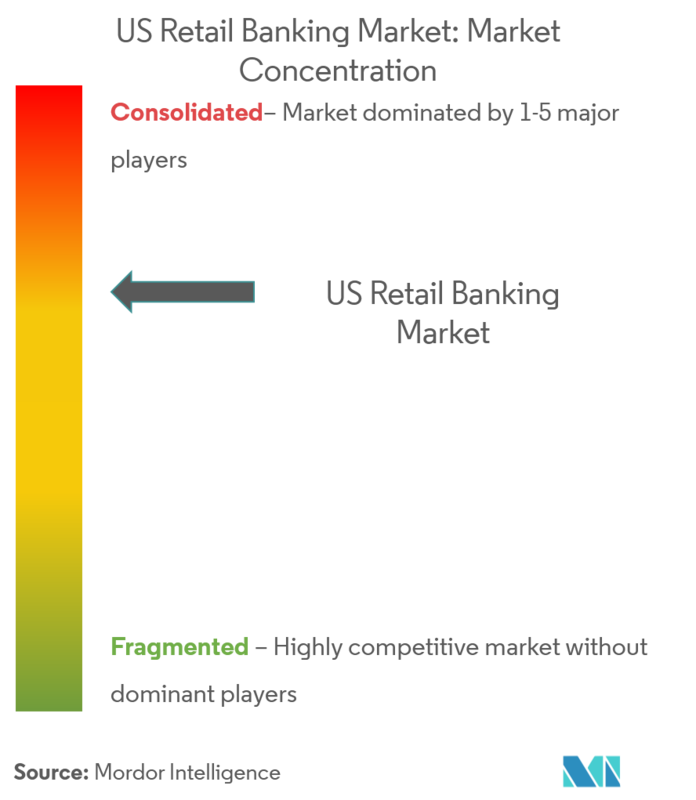 The report offers a complete background analysis of the US retail banking market, including an assessment of the parental market, emerging trends by segments and regional markets, significant changes in market dynamics, and market overview. About 78% of the US retail bank customers say that they are interested in receiving financial advice from their banks. However, only a 28% of retail bank customers say that they receive financial advice. The study also finds that customer satisfaction surges when banks get the advice formula right. 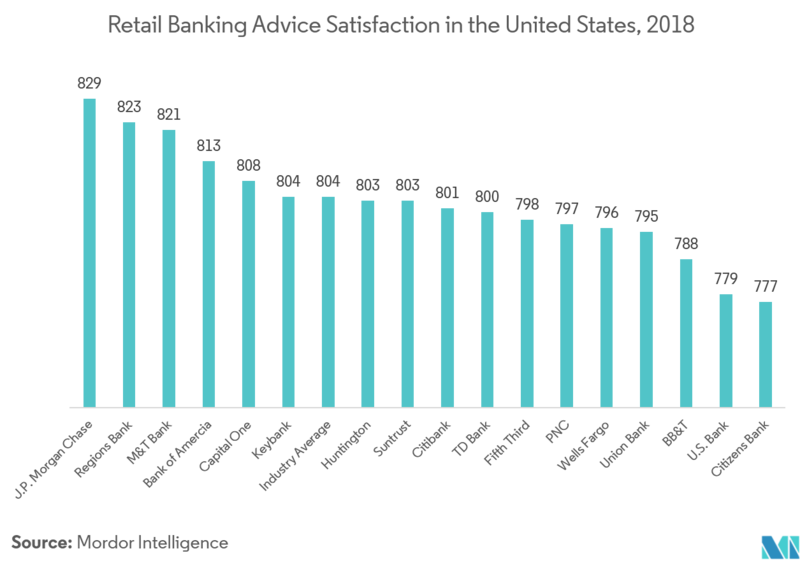 In the recent years, large US retail banks have steadily improved customer satisfaction because of technological investments, to provide greater banking convenience and more consistent products and services. Customers who use mobile and online banking more than once a week are over 60% more likely to be active retail-branch users, than those who do not. 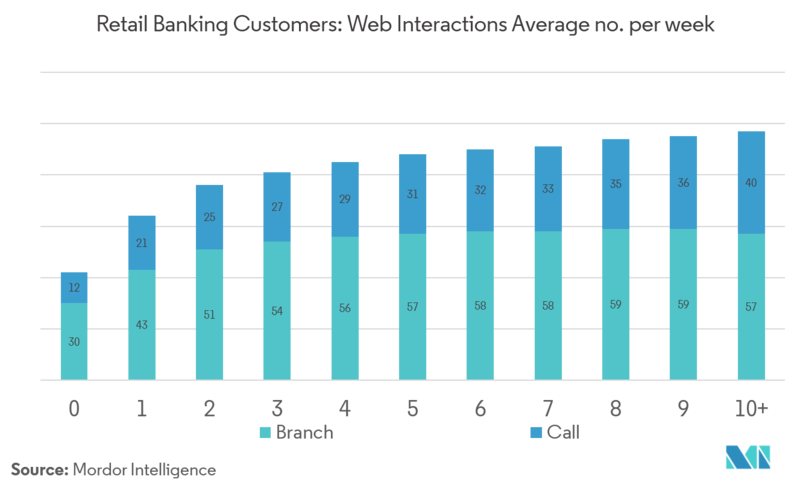 Thus, customers who have embraced multichannel access also expect higher value from face-to-face interactions at their bank branch. 6.2 JP Morgan Chase and Co.